The Goodman GMH80803BN furnace features a two-stage burner with a multi-speed blower motor. This furnace can be installed in both upflow and horizontal configurations and features an aluminized-steel tubular heat exchanger and durable Silicon Nitride Hot Surface Ignition system. 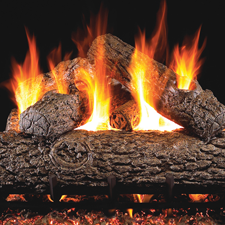 These furnaces are run tested for heating or combination heating and cooling applications. With a heavy-gauge, reinforced, insulated steel cabinet and durable baked enamel finish, this gas heater can be installed in a variety of locations. Buy some more Goodman product. 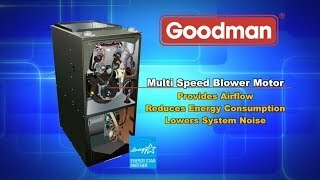 The Goodman GMH80803BN 80,000 BTU furnace features a two-stage burner with a multi-speed blower motor. 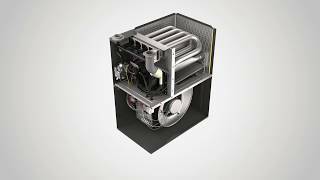 This furnace can be installed in both upflow and horizontal configurations and features an aluminized-steel tubular heat exchanger and durable Silicon Nitride Hot Surface Ignition system. These furnaces are run tested for heating or combination heating and cooling applications. With a heavy-gauge, reinforced, insulated steel cabinet and durable baked enamel finish, this gas heater can be installed in a variety of locations. Not intended for use in mobile homes. 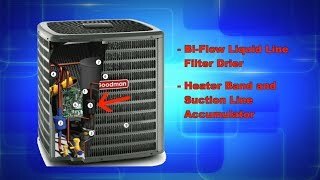 The Goodman GMH80803BN 80,000 BTU furnace has a 80% AFUE rating which means that for every every $1.00 you spend, 80 cents goes towards heating your home. Product arrived quickly, easy to install and heats the home perfectly.